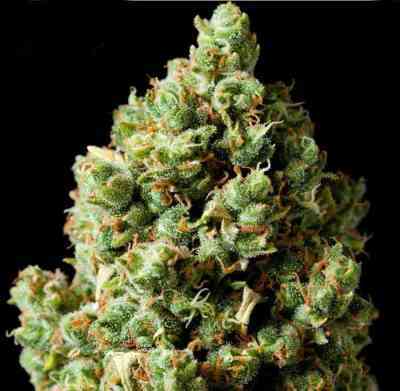 Critical Kush marihuana seeds are a blending of the famous Critical Mass with OG Kush. 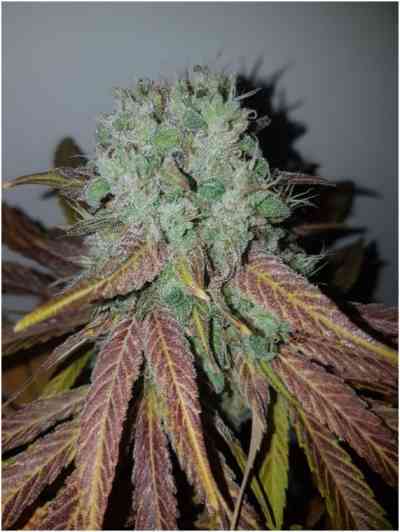 This is a powerful and extremely vigorous Indica plant, yielding huge amounts of beautiful, very strong Kush. Flowers in just 8 weeks indoors, and grows medium height with great flower to leaf ratio. Take pleasure in its sticky feel, aromatic scent, crystal covered buds and knockout stoned high. The Kush taste is unmistakable, and the yield per plant phenomenal. This new hybrid is a significant advance in modern marijuana breeding. Its Indica dominant nature makes it ideal for relaxation, pain relief and late night smoking. Quite fast indoor flowering time. Better Kush taste! Hat mich an Critical+ erinnert. Das Kush ist nicht so dominant wie ich gehofft hatte.